Welcome to the TownePlace Suites Lexington Park Patuxent River Naval Air Station, located north of the NAVAIR and NAWCAD headquarters, home of the U.S. Naval Test Pilot School. Our ideally-situated hotel in Lexington Park, MD is near multiple government contractor offices, including Boeing, Northrop Grumman and Lockheed Martin. Our all suite-hotel offers separate living and sleeping areas with sofa beds and fully equipped kitchens with full size refrigerators. Each stay includes complimentary hot breakfast and wifi with access to our pool and barbeque area with fire pit. Our hotel offers 24-hour services including a business center, fitness center and market. Nearby attractions include fishing and famous local seafood from the Chesapeake Bay. Additionally, shopping, dining and entertainment are located across from our hotel. 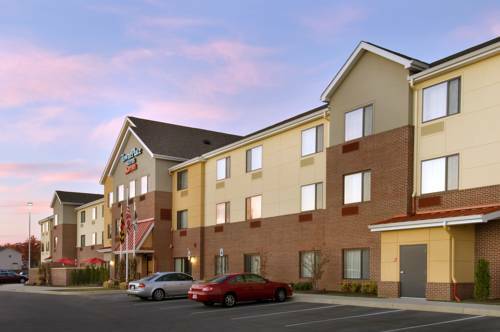 When you are staying in St. Mary's County, MD, come see why the TownePlace Suites by Marriott won #1 Midprice Extended Stay Brand according to Business Travel News.